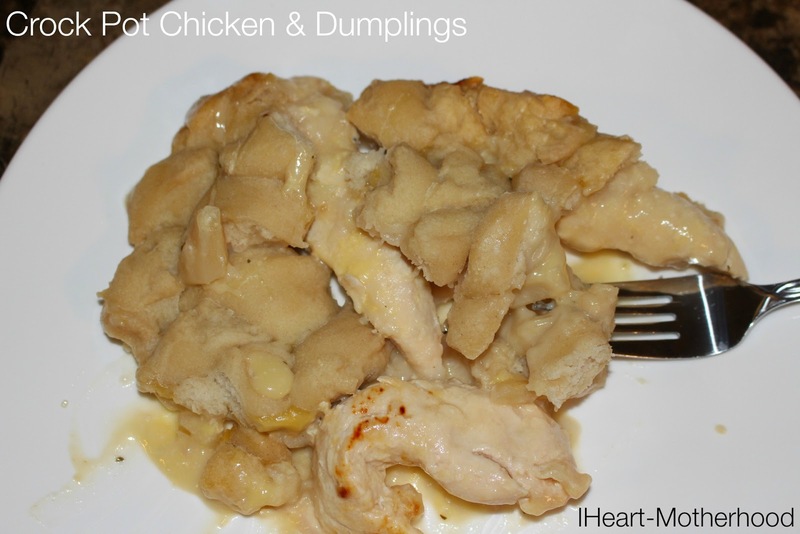 Crock Pot Chicken & Dumplings is a delicious & super easy week night meal! I love that you can throw everything into the crock pot, set on low for a few hours & your done! It's freezing here today so a plate of this is perfect, plus my kitchen smells amazing! Place chicken in the bottom of the crock pot, pour in milk, cream of potato soup & the cream of chicken & herbs. Gently stir a few times. Open up each can of biscuits, pull apart biscuits & layer on top of the chicken & soup mixture. Cook on low for 3-4 hours, enjoy! What are some of your favorite crock pot meals? Does your family enjoy chicken & dumplings? Mmmmm! Chicken & Dumplings is one of my favorite meals! Your recipe looks quicker to make than mine, great for busy nights! Thanks!